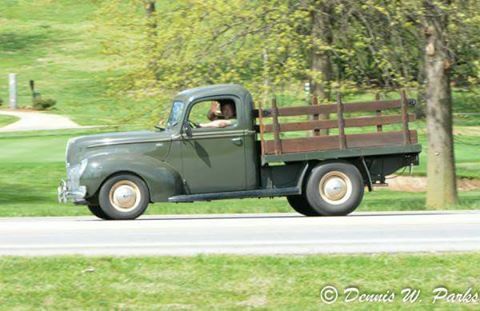 One of my greatest joys is spending time driving one of my ’40 Fords. Doesn’t matter which one, they both put a smile on my face! 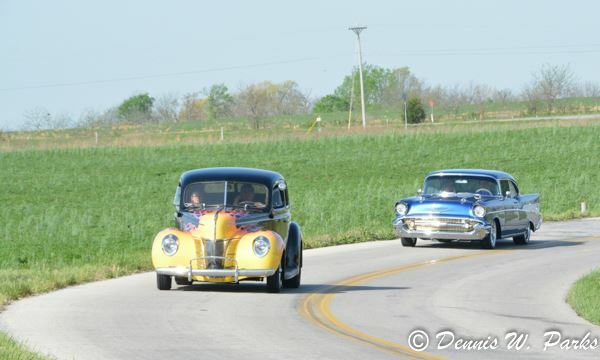 This past weekend, the CrossMembersCC hosted the 4th Annual SWMO Hot Rod Hundred Reliability Run. It’s a team effort, for sure, but I tend to be the guy to plan the route, take care of the pre-registrations, and lead the SWMO group until at least the half way mark, when folks get adventurous and take off ahead of me. 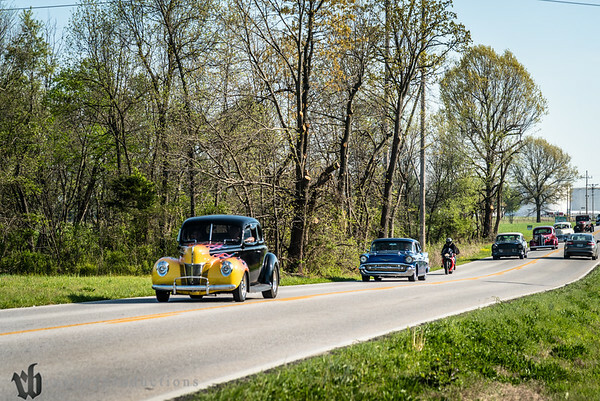 For those who may not know anything at all about the Hot Rod Hundred events, they are basically a drive through 2 lane rural America with a bunch of hot rods and customs, ending at a park where we have lunch catered for the entire group. This year, I had the pleasure of taking my younger daughter on her first ride of the Hot Rod Hundred events with me. Everything was going great. The weather was incredible, the crowd came in at fairly steady, but very manageable rate, and we were able to stage 178 vehicles to leave precisely at 9am to start our 100 mile trip. We weren’t but maybe 5 or 6 miles into the run when, while shifting from 2nd to 3rd, I felt my clutch pedal give way to nothing! I broke something in the linkage, and my mind began racing on what in the world I was going to do. There were no shoulders to pull to, and I began mentally running through the route looking for a place to either park, or pull out and head back to the house. The plan started coming together, while I had Kelsie looking through my cell phone for the number of the folks in the car behind me. I gave them a call, briefly explained what was going on, and that I was going to bail on the run as soon as we got to the highway, in about 15 miles or so. If you look closely, you can see me on the phone, advising one of the other club members that I was bailing to swap ’40 Fords, due to my broken clutch linkage. Once we reached Highway 44, we pulled out of the line and blasted off back to Springfield. I knew that I could get us “close” to home, but hadn’t gotten all the logistics worked out in my head. About the time we were pulling off the highway, I realized that instead of turning left, which would surely put me having to go to 2 stop lights, I could go right and avoid them! We were able to get the coupe all the way home and parked in the driveway. At that time, we got the ’40 stake truck out and proceeded to intercept the pack as they were coming through Monett, MO, and we led the group the rest of the way back to the ending point in Crane, MO. Just south of Monett, we re-joined the group to lead them over to Crane, MO. With all the miles that I have put on the coupe this year, already, to have it break at the beginning of the run that I was responsible for was somewhat humiliating, but it proved to be another adventure that memories are made of. While we don’t give out “trophies”, we do present some awards to a few participants of the events. We give a “Hard Luck” award, a “Long Distance” award, a “CrossMembersCC Pick”, and this year, I added a “Robert’s Choice” award, presented by a cool young man named Robert, who LOVES hot rods! I didn’t shoot any photos, this year, but Travis “Royboy” Scanlan and Dennis Parks did. You can see Travis’ photos here: http://www.royboyproductions.com/2017/04/17/2017-swmo-hot-rod-hundred-coverage-pt-1/ and if you are on Facebook, be sure to look for Dennis’ photos on the StreetRodder Network Facebook page. Yeah, there’s a lot of post ’48 cars and trucks, but it’s was still a blast. I was able to fix the clutch linkage, yesterday, and for the goal of driving a hot rod as many days of 2017 as I can, I’m currently at 87/113, or a little over 75%.